I purchased an amazing piece of software today. 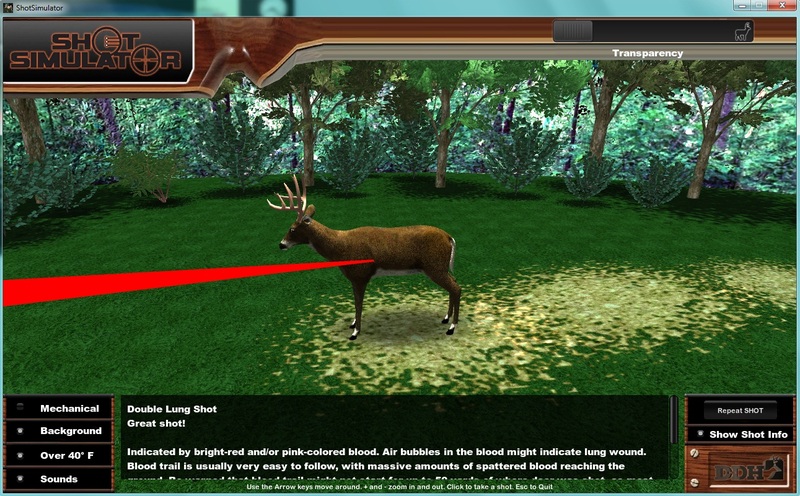 It is called the Shot Simulator and it is sold by Deer & Deer Hunting. I'm not necessarily a fan of Deer & Deer Hunting. I don't believe I have ever seen their show and I don't remember buying anything from them before. So, this is not a advertisement for them. I am very impressed by this piece of software. 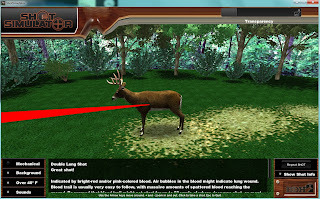 Basically, it shows you a 3D picture of a deer. You can zoom, pan, and rotate the deer. 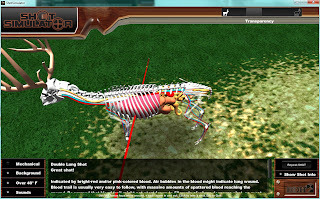 You can also peel back layers of the deer to show its organs and bones. Everything is rendered nicely. The beauty of the program is not in the graphics. It is in the ability to shoot the deer and see what vitals were hit. 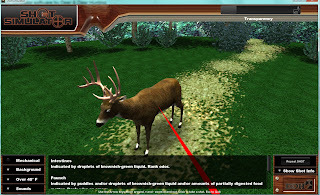 Click anywhere on the deer and an arrow shoots out in slow motion and pierces the deer, leaving a line showing its path. 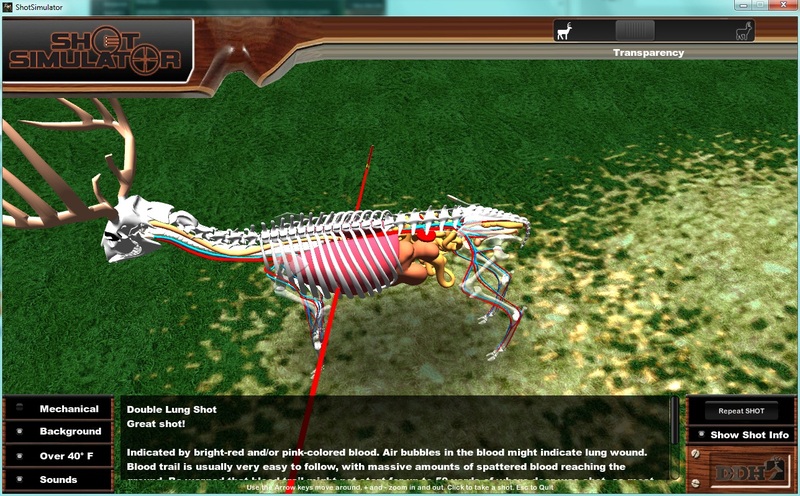 It then gives you a list of the vitals you hit and you can zoom in and see exactly what and where your arrow hit. Here is their advertisement video. In the one day I have been playing with this program I have learned a ton. Like many hunters, I am always a little unsure about vitals. Several shots I took on this digital deer were poor shots. I thought the placement was good but the program showed me otherwise. I would have taken this bad shot in real life. I thought this was good placement, but I was wrong. This program is a simple, inexpensive tool that I think every new hunter should use. I think it would benefit even an experienced hunter. It costs 19.99 for the downloadable version and 29.99 for the "Deluxe" CD version. There is also an IPhone app for 4.99.